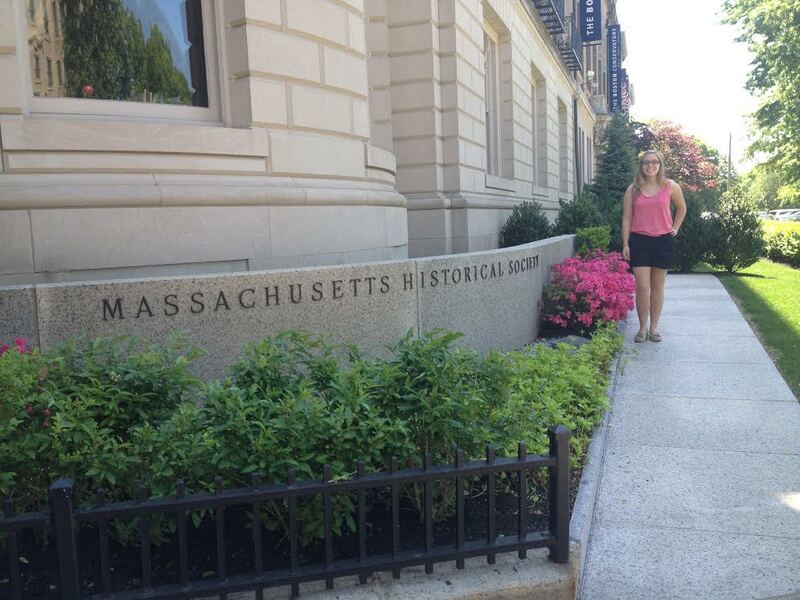 Today, we are excited to feature a guest post by Hope College student Hope Hancock who conducted research at the Massachusetts Historical Society in May 2014. Be sure to check out Hope’s Voices of the Exhibition project to see what she has done with her research! Hope Hancock outside the Massachusetts Historical Society, May 2014. Last summer I received a generous grant from the Hope College Mellon Scholars program. My research focused on the Centennial Exhibition of 1876, and my goal was to find first-hand accounts of people who visited the fair and to create podcasts, based on these sources,that told of their experiences. I remember sitting in the MHS, doing research among others busily working on their dissertations or authors working on what would surely become the next New York Times bestseller. Perhaps some of the people were undergraduate students like myself, embracing the opportunity to absorb some of the richest documents in United States history. I’d be neglecting a huge portion of my trip, if I didn’t mention all of the other learning opportunities Boston provided. After I had put in my hours at the archive for the day, I would wander around Boston for the evening. Boston is a very walkable city. The public transportation is easy to use, and the MBTA has a couple very helpful apps. And the city isn’t very big. 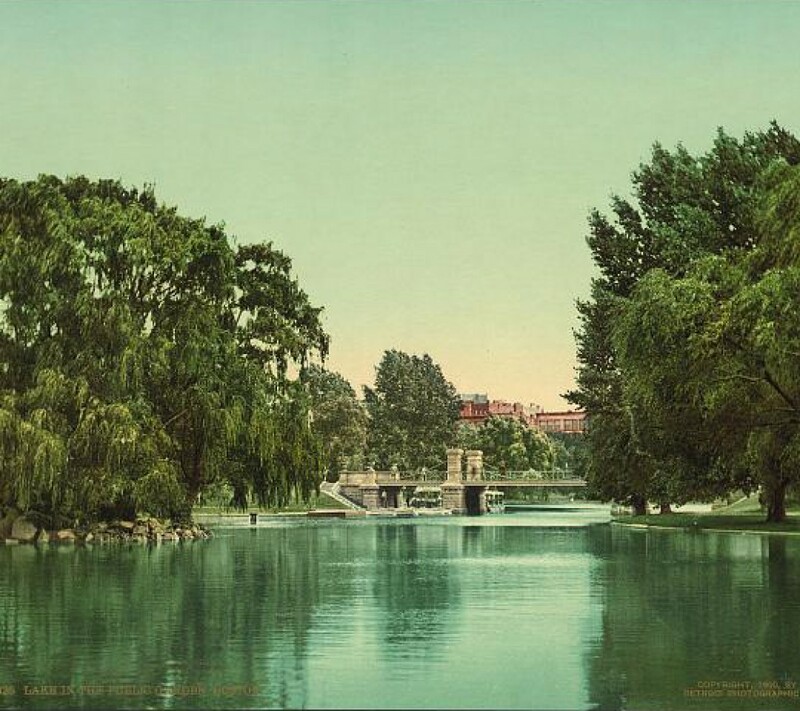 If you can find your way to the Boston Common, you can probably get anywhere else. Boston is also divided nicely into different neighborhoods. Want to see the “hipster” part of town? Go to the Berklee College of Music campus (near the MHS). Would you like to experience Italy? Definitely visit the North End. How about the harbor and some delicious seafood? Go to Faneuil Hall and walk around the shore. I haven’t even mentioned Freedom Trail and the wonderful historic buildings you can visit. I left a piece of myself in Boston and I’m itching for the opportunity to go back. I have folders full of digitized materials from the archives and many ideas of potential research projects for the future. And by the time I left the MHS, I didn’t feel quite so inadequate. Maybe I wasn’t working on a dissertation or a book, but I was sitting in a quiet room full of people with the same purpose: to bring history to life. If you’d like to hear more (or read more about my trip), visit hopehancock94.wordpress.com and click on “Voices of the Exhibition.” Listen to my introductory podcast below! Any questions? Find me on Twitter @HopeHancock94.